With Spring nearly over and Summer on the way, today seemed a perfect fit for providing our cherished readers with five fashion essentials for our modern men to sport in the warm weather. Esquire Magazine Fashion Director Nick Sullivan is one of the most impressive fashion writers in the country, and shared his handsome face and professional style insights on a few specific male necessities for Summer Fashion in 2011. Watch Nick Sullivan’s televised index of a few select fashion essentials that every stylish man should have this summer. We are going to snag a few of the essentials proposed by the great Nick Sullivan on Today, simply because they really are essentials, vitals even. These items will help you stay comfortable and stylish, even in the warmest summer months. The ultimate wardrobe skeleton key for men who want to formalize or ease from a day at the beach to an evening appropriate look is the awesomely unstructured double-breasted unlined jacket. Think of this key wardrobe item as the male equivalent to women’s heels. These thin, fitted jackets are a quick way to change the dynamic of an average outfit to a fashion forward, comfortable summer ensemble. The variety of unlined jackets available for men today include styles and color palettes to suit each fashion personality type, from the trend-setting fearless men to those who are looking for a more subtle appearance. 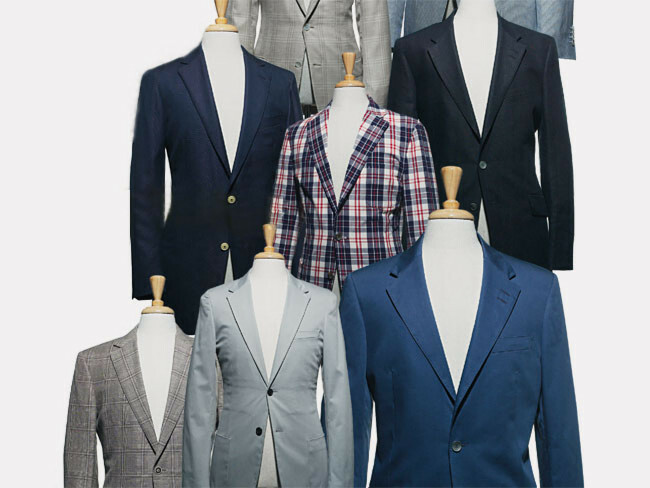 Our top pick among the many brilliantly creative and classically detailed choices for favorite unlined jacket is a piece from the 2011 Men’s Clothing Line by Italian Designer, Luigi Bianchi. For a stylishly revived summer wardrobe for sun-kissed men, the elegantly tapered jacket designs from the 2011 Men’s Clothing Line by Luigi Bianchi has our first vote. With their 100 year anniversary being celebrated, the jackets in this line are simple, yet incredibly precise in their construction. The result is a purposefully casual, classic appeal. Founded in 1911 by Luigi Bianchi, Lubiam has been making some of the finest tailored tailored clothing in Italy for 100 years. F/W 2011, and L.B.M. 1911 in general, is all about deconstructing the blazer as much as possible – it’s the definition of dressed down tailoring. This really is an important one, and I’m glad that someone has finally acknowledged the need for men to have an additional footwear option during the heated months. We are so used to seeing the same flip flops and and alternating sneakers being worn by men in the Summer, it’s almost as if another option hadn’t even been available until now. Men of 2011, ditch those Adidas kicks. Your footwear has officially received an upgrade, a footwear facelift if you will. The pair of suede summer shoes which Nick Sullivan features on his clip with the Today Show is a perfect example of how to move on from flip flops and tennis shoes in the best way possible. I’m nearly envious of men at this point, as these suede hybrids between a sneaker and a dress shoe provide the overdue option for men’s footwear in Summer. Grabbing a pair of these off-duty, comfortable yet trendy shoes should be a main priority for men this year. Not only are these styles going to remain popular, but two toned, more embellished variations will be seeping into the fall fashions, as well! We love the Men’s Authentic Original Suede Boat Shoe from www.sperrytopsider.com. Growing rapidly in popularity is the high-quality, old-fashioned barber shop close shave. Particularly valuable in the Summer months, when the sun, sweat and heat can cause breakouts and other skin irritations, a perfectly smooth shave will be essential. Just like Bob Dylan and Mick Jagger, decide that you’re going to make a serious statement. With your shades. This Summer is demanding all men to take a fashion leap with their choice of eyewear. No more classic stand-by aviators, boys. It’s time to say something. With your eyes. Through what’s covering them, literally. Celebrity-Inspired statement sunglasses are a must have for men in 2011. Look into some of the great sunglasses of history, like the ones above being worn by Hunter S. Thompson. You will have to find a style that works with the shape of your face, as well as your fashion sense and risk-level preferences. If this is your first dare-devil approach to statement sunglasses, it’s better to be rational when choosing your shades. Pick up a pair that make themselves known, but that aren’t so loud they wind up staying heated in your glove box through September because you couldn’t quite bring yourself to wear them in public. The Fashion Director of Esquire, Nick Sullivan has taken a particularly heightened interest in the new annual trade show of all things jewelry and watch related, BaselWorld. In several feature articles,he intricately highlights the timepieces displayed at the Basel Watch Show to be powering a strong return of gentleman’s timepieces and wristwatch designs into modern men’s fashion. The revealed collections at Basel-world greatly occupied a fluidly recognized vintage feel. Thus far, aviation-inspired and early 20th century designs have been creating a strong and positive impact on men’s fashion. The watches that are growing in nostalgia-fueled popularity in the revealed collections at BaselWorld embody noticeably narrower straps with larger round faces. These WW1-inspired timepieces, which include several pocket watches, are described by Sullivan as a rediscovering a certain nostalgia for the first third of the 20th century. 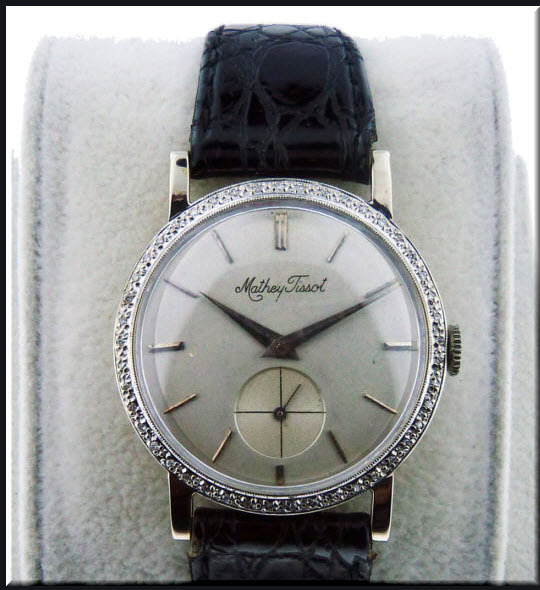 The dressy, yet restrained appearance of the early-20th century inspired wristwatches is expected to lead the way in fashionable watch wear for men. Popularity of timepieces that carry a piece of nostalgia or sentiment with them are on the rise. Don’t forget this one very crucial element to your look this summer. Well… Men, and all those who’d like to surprise the men you love with some fashion affection, you’re all set! Have a wonderful evening.